A super easy bell pepper soup made with only 3 ingredients: red bell peppers, roasted in the oven until they are sweet and tender, crushed tomatoes and vegetable stock. That’s it! This soup looks and tastes fancy but frankly, it’s ridiculously easy to make and you only need very basic ingredients. You’ll be surprised how delicious this soup is when you learn how it’s made! Why do I need to roast the bell peppers? The focus is really on the bell peppers here. After being roasted for 45 minutes in the oven, the flesh of the bell pepper becomes super sweet and tender. It literally melts in your mouth. Boiling or cooking the bell peppers like you would with a classic soup would lead to a completely different and underwhelming results. Trust me on this one, roasting is the way to go! 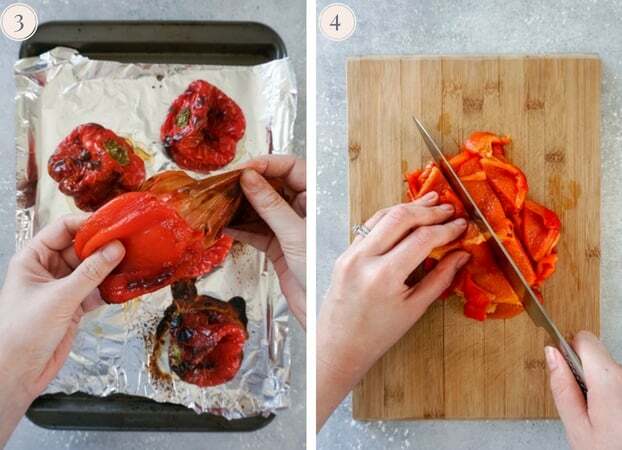 Place the bell pepper on a baking sheet lined with foil and roast at 400F/200C for 45 minutes, turning them regularly so the bell peppers roast evenly. They will shrink a lot and some of the skin will burn – don’t worry, it’s normal. That’s how you get super tender and flavorful peppers. Once they’re completely cooled, remove the skin. It should come off very easily. Cut them in half and remove the stems and the seeds. You can run them under water to remove the seeds more easily. Chop them roughly and then add them to a blender with some crushed tomatoes and vegetable stock. Season with salt and pepper. You can also add some extra virgin olive oil for even more flavors. Blend until super smooth. You can either reheat the soup and serve it warm, or serve it cold. Can I use store-bought roasted peppers to make this bell pepper soup? Technically you can, yes. But I wouldn’t recommend it. First, because using fresh vegetables always tastes better! And also because a lot of store-bought roasted pepper have added sugar, which really isn’t necessary and would probably be too sweet for this soup. 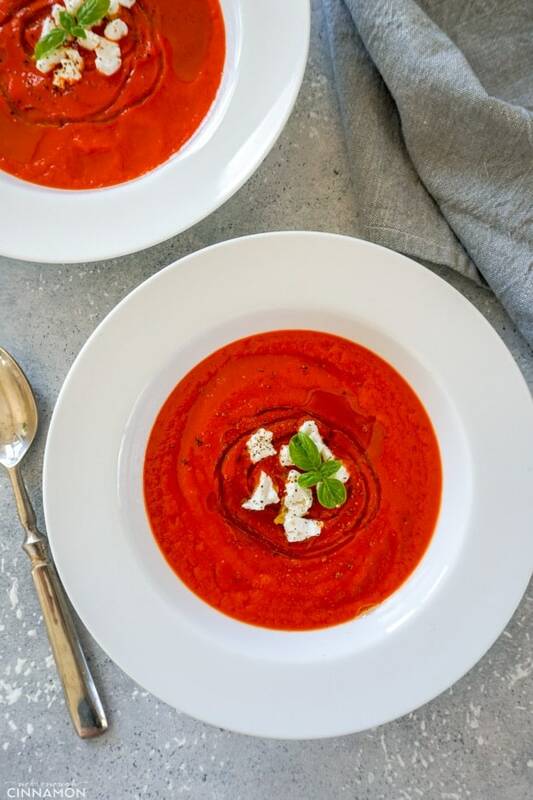 If you tried this bell pepper soup, don’t forget to rate the recipe below and let me know how it went in the comments – I love hearing from you! 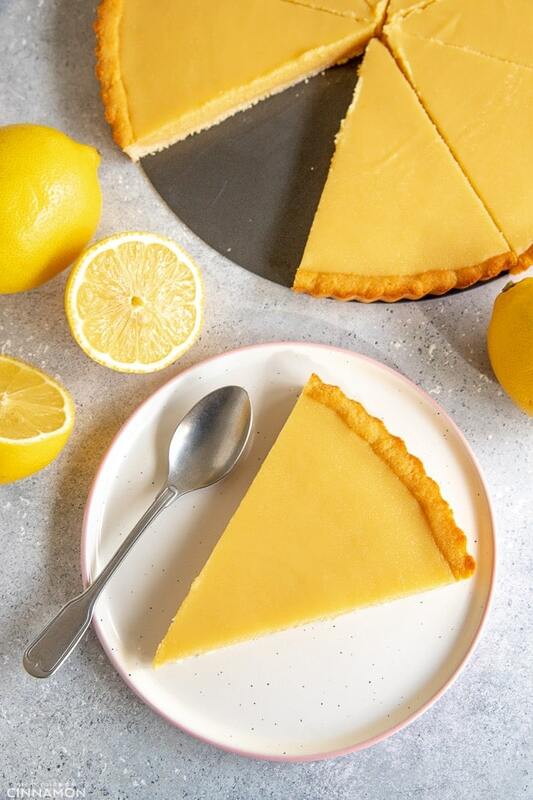 You can also follow me on Instagram, Pinterest and Facebook for more deliciousness and behind-the-scenes! A super easy bell pepper soup made with only 3 ingredients: red bell peppers, roasted in the oven until they are tender, crushed tomatoes and vegetable stock. That's it! 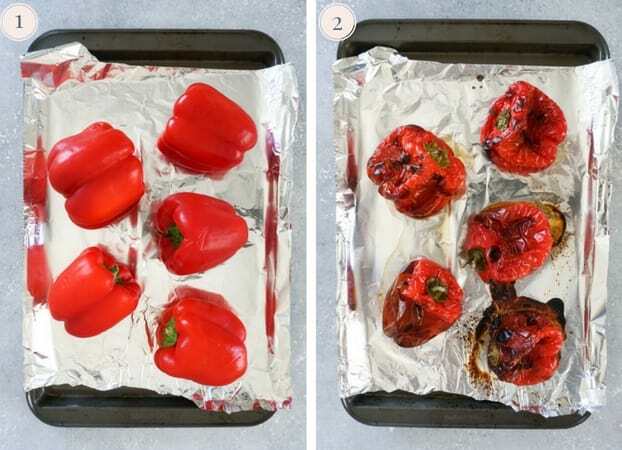 Line a baking sheet with foil, arrange bell peppers and roast them for about 45 minutes or until very tender, turning them regularly so they roast evenly. The skin will look burnt – don't worry, it's normal. Cut the bell pepper roughly. 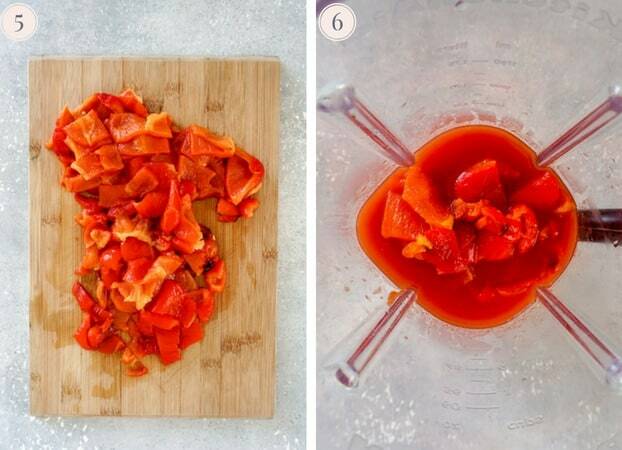 In a blender, add bell peppers, crushed tomatoes, stock, olive oil (optional) and salt to taste. Blend until smooth. Taste and adjust seasoning if needed. Add more stock or water if you want your soup to be thiner thick. Reheat soup in a saucepan over low heat or in the microwave and enjoy! It's also delicious cold with extra olive oil drizzled on top. 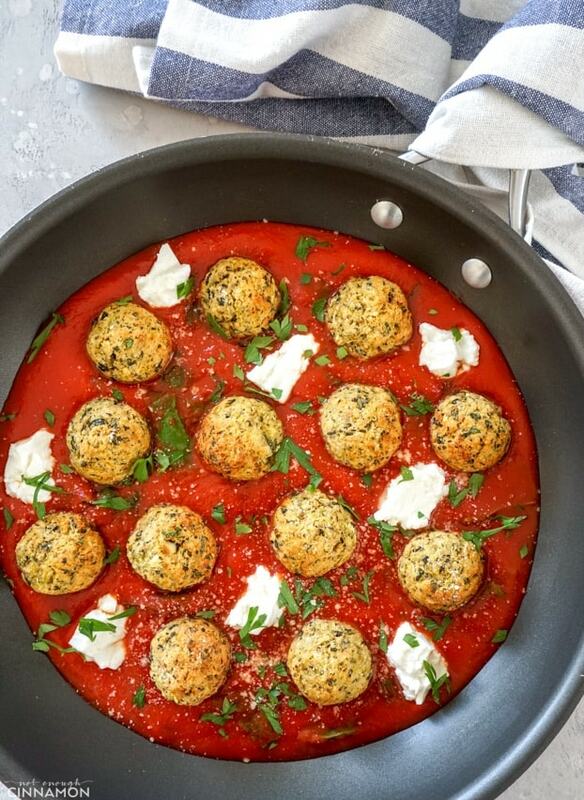 Try sprinkling crumbled goat cheese or feta on top and drizzling with additional olive oil. It's delicious! 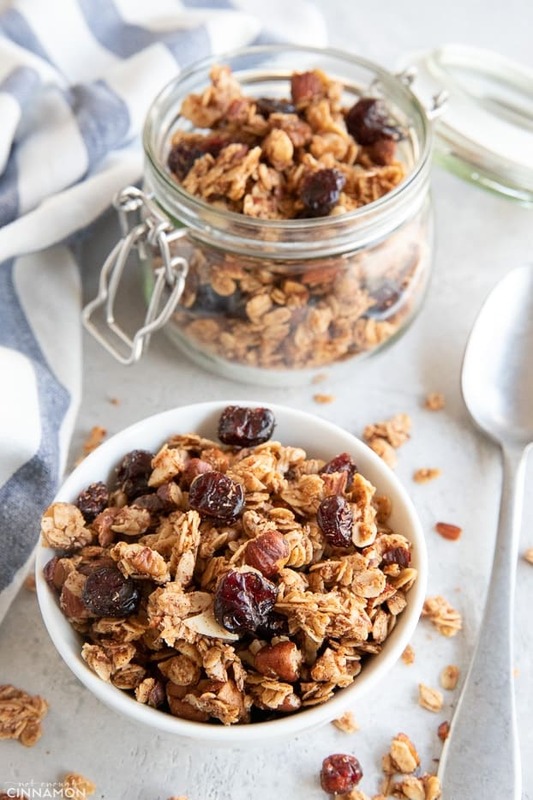 UPDATE NOTE: This post was originally published on November 22, 2012 and republished in September 2018 with an updated recipe, new photos and more tips. Thanks for your feedback! Everything seems to work just fine for me so I’m not sure what’s going on on your side… Sorry I can’t help your more! 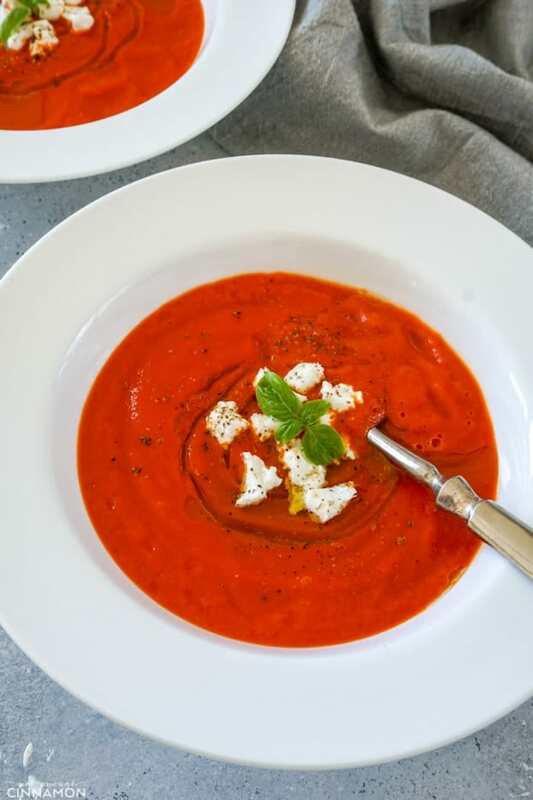 I love roasted pepper soup – it’s just got so much flavour. Loving the colour of yours! This recipe has me craving some cooler temperatures and a hot bowl of this delicious soup. 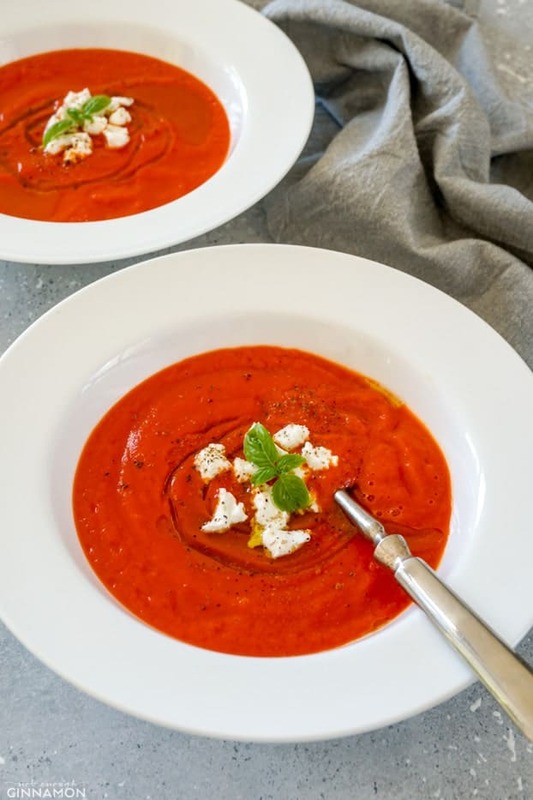 I love super easy-to-make recipes like this roasted bell pepper soup recipe – thank you so much for sharing it with us! This 3-ingredient veggie soup is calling to me! I can’t wait to make it for a light dinner… perfect for the rainy weather we are having this week. Yummm! Why have I not made this before?! I love bell peppers and we always have a bunch in the garden every year. 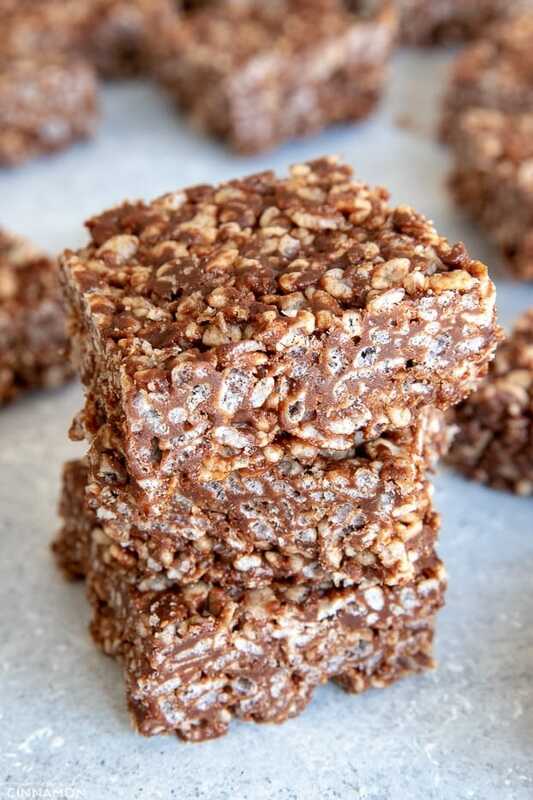 Just pinned…thanks for sharing your recipe! My children don’t like vegetables so i tried this soup recipe..! they liked this soup recipe. 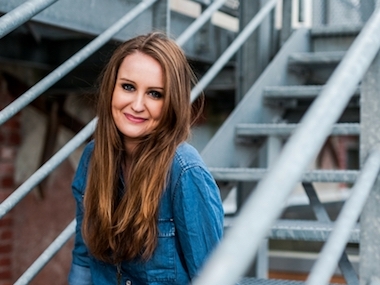 Thank for sharing…. Must they be red? Can I use orange and yellow as well?